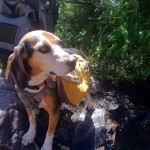 More spring wildflower hiking news…. Information on the annual Wildflower Festival at the Pepperwood Preserve. 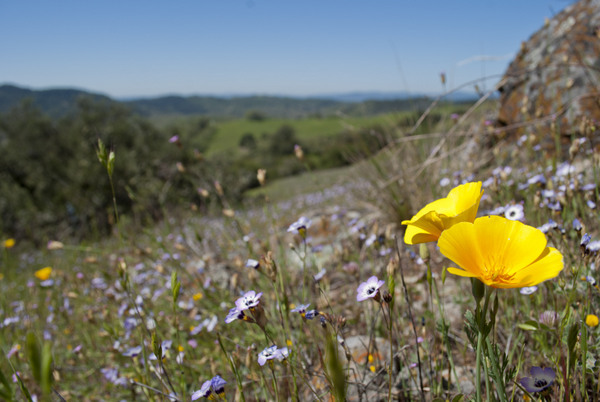 “Celebrate the beauty of Sonoma County’s native wildflowers and the majesty of the Mayacamas Mountains at Pepperwood’s 6th annual Wildflower Festival on Sunday, April 13, 2014 from 9am – 4pm. The festival is free and families are welcome. This year’s Wildflower Festival will include an array of activities for the whole family including self-guided hikes, interpretive hikes led by naturalists and wildflower experts, van tours of the preserve, children’s activities such as face painting and bird box building, environmental lectures each hour on a wide range of topics, an art exhibit featuring the work of local artist Catherine Daley, a raffle and silent auction, and much more! Held each year in April, Pepperwood’s Wildflower Festival presents the best opportunity to experience everything the preserve has to offer. Visitors will also have the opportunity to learn about different community organizations working with Pepperwood to protect the North Bay’s rich natural heritage. Refreshments will be available on-site for purchase. Last year’s festival drew hundreds of visitors – come join us for our biggest event of the year! Pepperwood is a leader in forging solutions to advance the health of Northern California’s land, water and wildlife. We use our 3,200 acres as a living laboratory to engage nature lovers, volunteers, students, and scientists in applied conservation. Pepperwood serves as a field site for cutting-edge research and conservation science, provides comprehensive environmental education for adults and youth, and hosts an innovative citizen science initiative.